As 2016 comes to a close, we take a look back at some of our favourite classical music releases of the year. Granted that a single reviewer can neither listen to every recording released in a calendar year, nor have the expertise required to properly evaluate recordings of works in every genre from every period in the history of music, it follows that this list of “Best Classical Recordings of 2016” is both highly selective and quite personal. My hope is that my enthusiasm for these recordings will encourage many music-lovers to at least investigate some very fine music-making they might have missed over the past year. This list might also serve as a useful guide for the purchase of curated Christmas gifts. RACHMANINOV Troika. Aleko. Kostas Smoriginas (Aleko). Anna Nechaeva (Zemfira). The Miserly Knight. Sergei Leiferkus (Baron). Dmitry Golovnin (Albert, his son). Francesca da Rimini. Dimitris Tiliakos (Lanceotto Malatesta). Anna Nechaeva (Francesca). Sergey Semishkur (Paolo). Orchestra and Chorus of La Monnaie, Brussels/Mikhail Tatarnikov. Kirsten Dehlholm (stage director). Maja Ziska (set design). Jesper Kongshaug (lighting). Manon Kündig (costumes). BelAir Classiques DVD BAC133. Total Time: 185:00. Although Rachmaninov’s three operas have never been part of the standard repertoire, this new recording, based on stunningly imaginative productions by Kirsten Dehlholm, suggests that they ought to be re-evaluated. The most gripping of the three operas is Francesca da Rimini. The music, foreshadowing Rachmaninov’s gloomy Isle of the Dead, is consistently powerful. 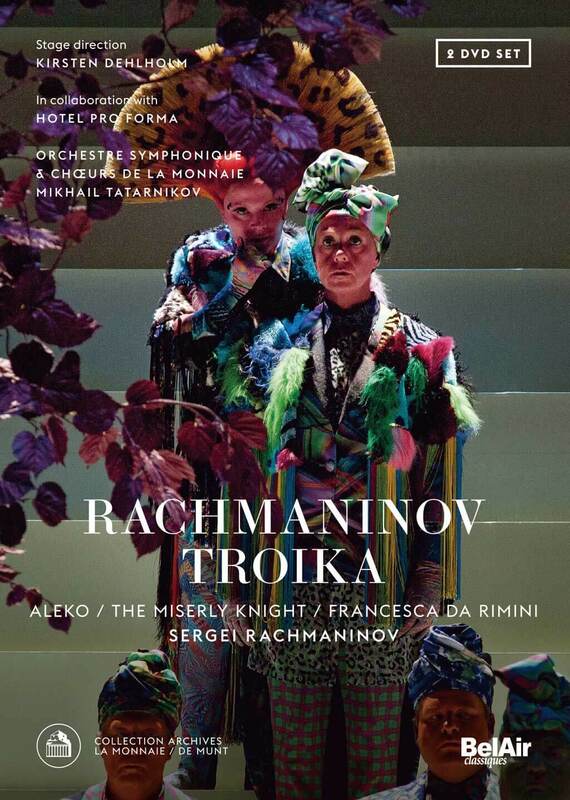 This production of Rachmaninov Troika would have been a triumph in any opera house in the world. Thanks to BelAir for making it available on DVD in a film version by Christian Leblé that captures the music, the staging, the lighting and the projections in the spirit of Kirsten Dehlholm’s magnificent production. 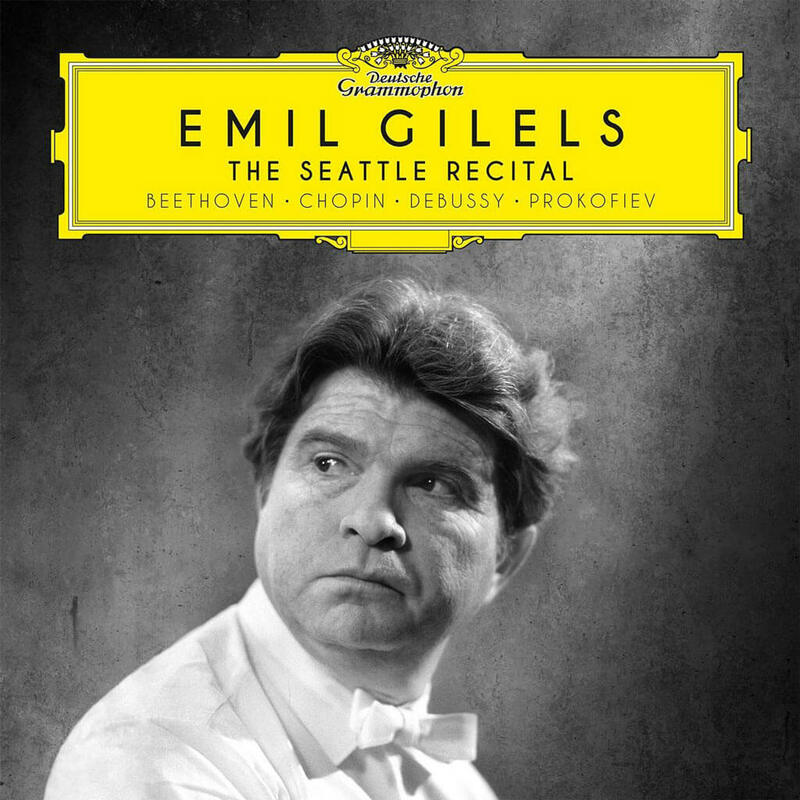 EMIL GILELS: THE SEATTLE RECITAL. Beethoven: Piano Sonata Op. 53 “Waldstein. Prokofiev: Piano Sonata No. 3 Op. 28. Prokofiev: Visions fugitives Op. 22 (excerpts)Debussy: Images I. Ravel: Alborada del gracioso. Recorded live in the Seattle Opera House, December 6, 1964. DG 479 6288. Total Time: 74:47. It was in the early 1950s that the Iron Curtain began to open from time to time, allowing some great Soviet artists the opportunity to perform in the West for the first time. Music-lovers had known of Oistrakh, Kogan, Rostropovich, Richter and Gilels (1916-1985) only through a handful of Russian Melodiya recordings. Come the 1950s, we had a chance to hear these legendary figures in person. Each concert by one of these artists was eagerly anticipated all over Europe and North America. I heard them all in those exciting days, and it was the forty-year-old Gilels with his dazzling pianism and flaming red hair who made the greatest impression on me in a stupendous Massey Hall recital. I left the hall dumbfounded after hearing him play, among other things, excerpts from Stravinsky’s Petrouchka; his technique seemed to go far beyond what I thought it was possible to do on a keyboard. For listeners who have never heard Gilels live, this new recording comes close to recreating my experience, and as such, it is self-recommending. 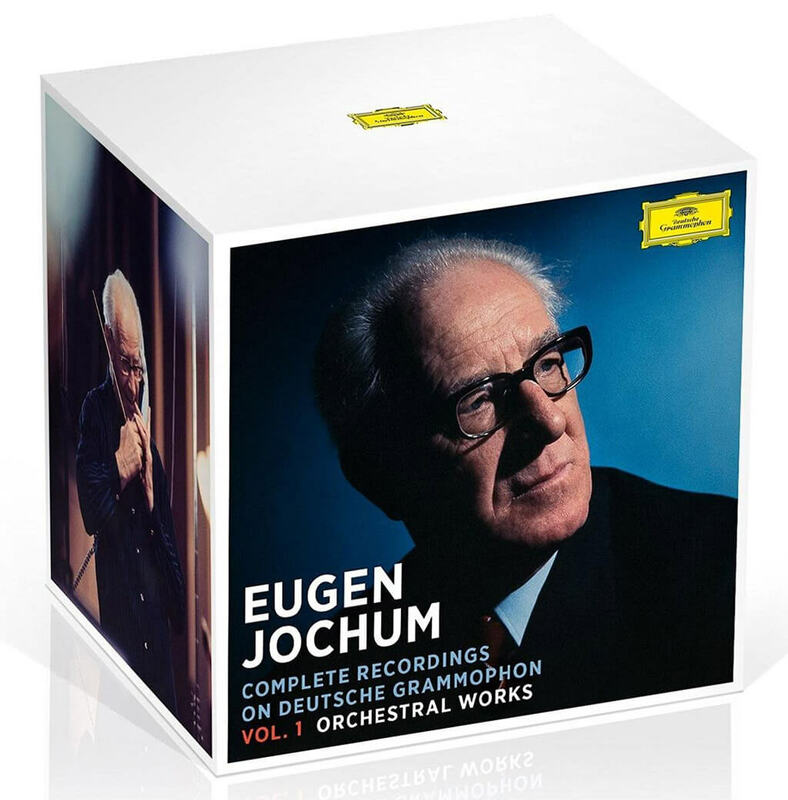 EUGEN JOCHUM: Complete Recordings on Deutsche Grammophon. Vol. 1 Orchestral Works. 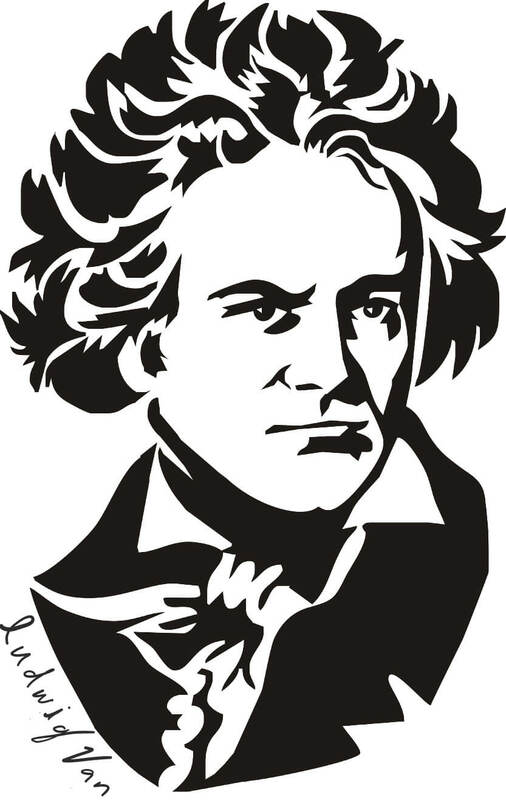 BEETHOVEN: Symphonies 1-9. Violin Concerto (Schneiderhan). Piano Concertos 1-2 (Pollini). BRAHMS: Symphonies 1-4. Piano Concertos 1-2 (Gilels). Violin Concerto (Milstein). HAYDN: Symphonies 93-104. BRUCKNER: Symphonies 1-9. MOZART: Symphonies 33, 36, 39-41. SCHUBERT: Symphonies 8 & 9. Etc. Berlin Philharmonic & Bavarian Radio Symphony Orchestra/Eugen Jochum cond. DG 479 6314 (42 CDs). Head of the Hamburg Opera (1934-1949), creator of the Bavarian Radio Symphony Orchestra, now one of the foremost orchestras in the world, and closely associated with both the Berlin Philharmonic and the Concertgebouw Orchestra of Amsterdam, Eugen Jochum was one of the greatest opera and concert conductors of the Twentieth Century. Jochum made recordings for Deutsche Grammophon starting in 1949 and continuing into the 1970s, and later recorded extensively for both Philips and EMI. This recent DG boxed set includes all Jochum’s orchestral recordings for DG. Some months ago DG released a separate volume with Jochum conducting and devoted to the sacred works of Bruckner (DG 479 6197). In coming years there will likely be more Jochum sets containing his opera recordings (Die Meistersinger, Così fan tutte, etc.) and choral recordings (Orff’s Carmina Burana, Mozart’s Requiem, etc.). All the Bruckner recordings in this set are exceptionally fine, with the later ones obviously benefitting from better-recorded sound. Painstaking in his preparation of a piece, Jochum was greatly influenced by the great German conductor and composer, Wilhelm Furtwängler (1886-1954), which meant that he believed in adjusting tempos within movements, frequently opted for an extremely wide range of dynamics, and never lost sight of the need for spontaneity in his music-making. In these Bruckner performances, there are numerous moments of breathtaking beauty, but also overwhelmingly powerful climaxes. As a Jochum admirer from an early age, I knew many of these recordings and had them in my own LP collection. It has been a pleasure to revisit them in their CD format. The Brahms symphonies from the early 1950s remain as impressive as ever, and the piano concertos with Emil Gilels from 1972 are unsurpassed. The Beethoven symphonies are on the slow side – especially the Pastoral – but the power of the Eroica has to be heard to be believed. The Furtwängler influence is very strong here, but I am inclined to think that Jochum outdoes his mentor in the combination of precision, beauty of sound and drama. STAATSKAPELLE BERLIN / ELGAR: Symphony No. 1 in A flat major Op. 55. Throughout his career, Daniel Barenboim has championed Elgar’s music, beginning with the famous recording of the Cello Concerto with his wife Jacqueline du Pré (1945-1987). 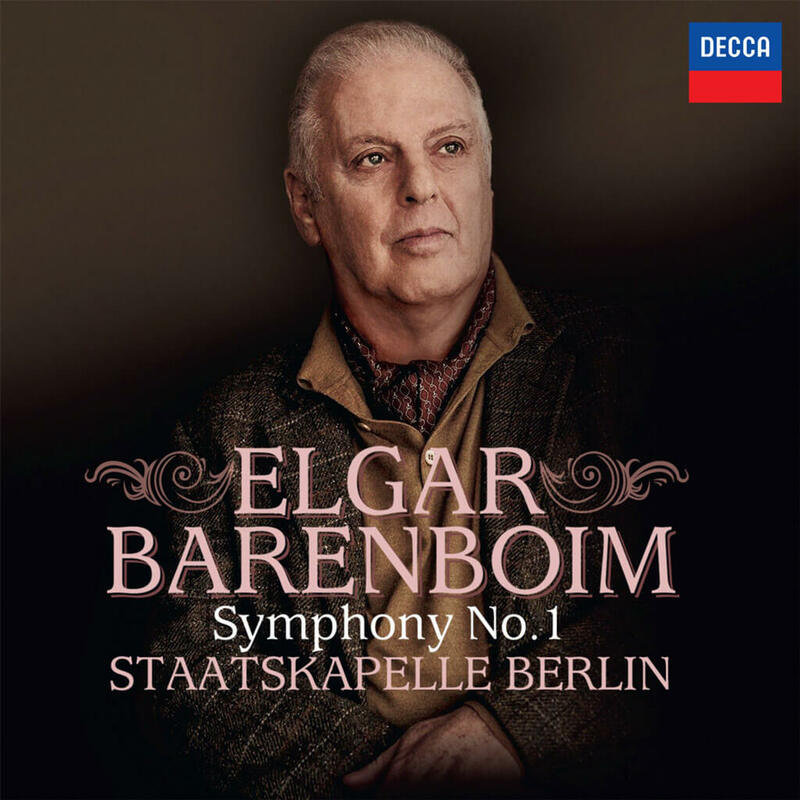 Barenboim went on to record Elgar’s symphonies, and in the last few years, he has returned to them again with his current orchestra, Staatskapelle Berlin. Primarily an opera orchestra, under Barenboim the Staatskapelle Berlin has emerged as a serious rival to the Berlin Philharmonic. After recording primarily Mahler and Bruckner, in 2014, Barenboim came out with an extraordinarily probing reading of Elgar’s Symphony No. 2, demonstrating his impressive grasp of the structure of the piece, with attention paid to every detail, the Staatskapelle Berlin orchestra playing with an exceptional range of expression, and the Decca engineers providing exemplary sound quality. Now, two years later, we have an equally fine recording of the Symphony No. 1. Barenboim first recorded the work in 1973 with the London Philharmonic, but in this new version, the orchestra is better, the sound is far superior, and Barenboim plumbs the depth of the score without impeding the flow of the music. Martha Argerich. Chopin: the Complete Recordings on Deutsche Grammophon. Mstislav Rostropovich. DG 479 6068 (5 CDs). // Martha Argerich. Volume 4. Chopin: Piano Sonata No. 3, Nocturnes, Etudes, Preludes and Ballades, recorded live at the 1965 International Chopin Competition in Warsaw. DOREMI DHR-8036. // Martha Argerich. Volume 5. First Releases of live performances from 1966. Mozart: Piano Concerto No. 20. Solo works by Bach, Schumann, and Chopin. DOREMI DHR-8048. Martha Argerich took the world by storm when she won the International Chopin Competition in 1965, at the age of 24. But even before that she had signed a contract with Deutsche Grammophon. This new DG boxed set brings together all the Chopin recordings she made with the Yellow Label from 1960 through 2000. The five CDs in this boxed set cover a wide range of repertoire, including the 24 Preludes Op. 28, the two piano concertos, the Piano Sonatas Nos. 2 and 3, and various shorter works. But let me be clear about this: this is a collection of Chopin works played by Argerich, not the complete works of Chopin. In fact, there are a number of Chopin pieces that Argerich has neither played publicly nor recorded. The first CD contains a recording of the Sonata No. 2 from 1974 with one of the fieriest first movements one could hope to hear. The Scherzo No. 2 is even more spectacular in its virtuosity. But the recording of the third movement of the Sonata No. 3 from 1967 shows that the young Argerich was also incomparable in controlling soft dynamics and a deceptively simple melodic line. Meanwhile, DOREMI has been continuing its Argerich celebration with five volumes released so far and more to come. Volume 4 is all-Chopin and features performances by Argerich recorded at the 1965 Chopin Competition. Although the recording quality in DOREMI’s Volume 4 is not quite as good as that in later versions of the same pieces recorded in the studio by Argerich for DG, the Chopin Competition performances are of obvious historical importance. DOREMI’s Volume 4 also includes Chopin’s Etude in C major Op. 10 No. 1, recorded in Buenos Aires (1955) and performed by the 14-year-old Argerich with almost superhuman virtuosity. Volume 5 of DOREMI’s Argerich series contains performances of Chopin’s Mazurkas Op. 59, recorded live in Milan on March 14, 1966. Argerich recorded these same pieces in Munich for DG less than 10 months later. There is not much to choose between the performances, but the live version serves as a reminder that Argerich was nearly always just as note-perfect in concert as she was in the studio. This album also includes a wonderful performance of Mozart’s Piano Concerto No. 20 K. 466, recorded live in Hamburg in 1966 with Reinhard Peters conducting the NDR Symphony Orchestra. Apart from the excessively heavy bass sound in the orchestra, this is fine Mozart playing, with Argerich at her sparkling best, giving full measure to the minor key emotion of the music, especially in the Beethoven cadenzas. Argerich and Abbado got together again to record this concerto with Orchestra Mozart (DG 479 3601) in 2013. While by this time Abbado was buying into the latest in historically informed performance practice, Argerich’s approach was pretty much the same in both performances. FRENCH TRUMPET CONCERTOS. Tomasi: Concerto for Trumpet and Orchestra. Desenclos: Incantation, Thrène et Danse for Trumpet and Orchestra. Jolivet: Trumpet Concerto No. 2. Paul Merkelo, trumpet. Orchestre symphonique de Montréal (OSM)/Kent Nagano. Analekta AN 2 9847. Total Time: 44:00. Over his 20 years of service as principal trumpet of the Orchestre symphonique de Montréal (OSM), Paul Merkelo has been highly praised for his impeccable technique and for the purity of his sound. While his two earlier CDs were well received, this new one should finally bring him the widespread recognition he deserves. Together with his colleagues in the OSM and music director Kent Nagano, Merkelo delivers near-definitive performances of three classics of the Twentieth Century trumpet repertoire, with Analekta providing rich and detailed sound quality. SHOSTAKOVICH: Under Stalin’s Shadow. Symphonies Nos. 5/8/9. Suite from “Hamlet”. 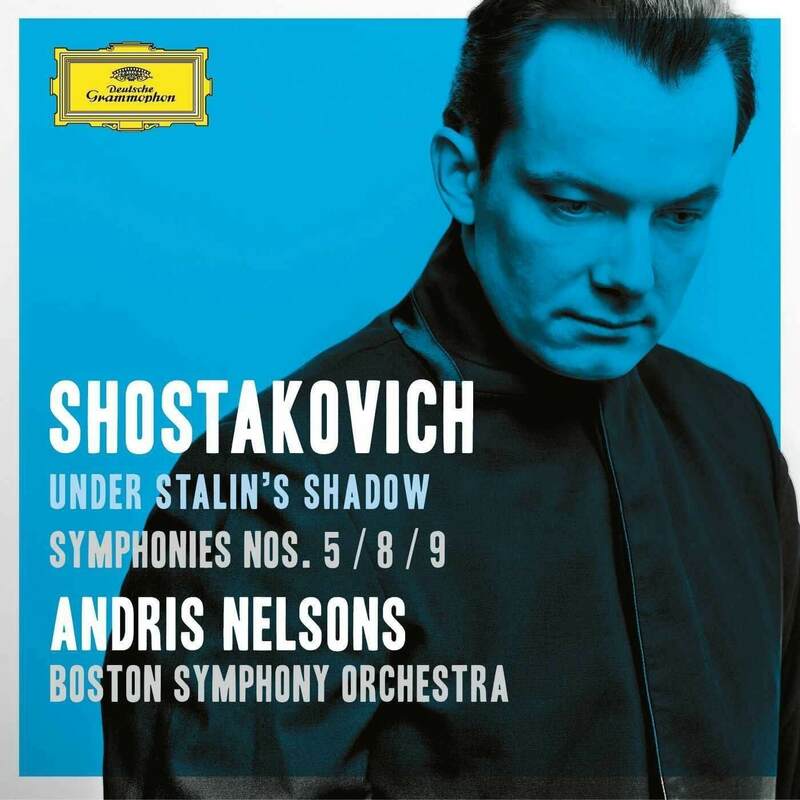 Boston Symphony Orchestra/Andris Nelsons. DG 479 5201. Total Time: 157.38 (2 CDs). There was a time, long ago, when Russian-born Serge Koussevitsky was the orchestra’s music director (1924-1949), that the Boston Symphony was in the forefront of major American orchestras championing the music of Shostakovich, and vied with other leading orchestras for the honour of presenting Western premieres of the latest Shostakovich symphonies. Charles Munch, Koussevitsky’s successor (1949-1962), had little interest in Shostakovich. Erich Leinsdorf (1962-1969) seemed to prefer Prokofiev to Shostakovich, Seji Ozawa (1973-2002) had at least some Shostakovich in his repertoire, but James Levine (2004-2011) had virtually no interest at all. Now comes Latvian-born Andris Nelsons, the current music director, and his first major project is to record all fifteen of the Shostakovich symphonies with the BSO. 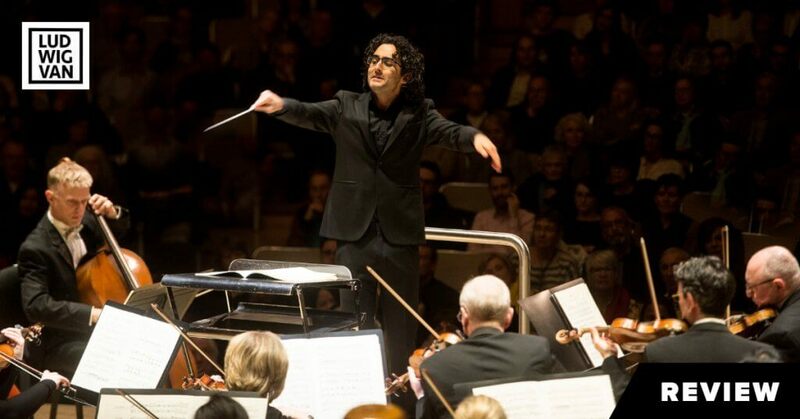 On the basis of his first two releases — we had a magnificent Tenth Symphony last year to kick off the cycle — it is clear that in Nelsons and the BSO, the symphonies of Shostakovich have found their near-ideal interpreters. BACH: St. Matthew Passion. Mark Padmore (Evangelist). Christian Gerhaher (Jesus). Camilla Tilling (soprano). Magdalena Kožená (contralto). Topi Lehtipuu (tenor). Thomas Quasthoff (bass). Rundfunkchor Berlin/Simon Halsey. Berlin Philharmonic/Sir Simon Rattle. Staging by Peter Sellars. Complete performance recorded live in April, 2010, and a bonus video with Peter Sellars in conversation with Simon Halsey. BPHR Blu-ray 140021. 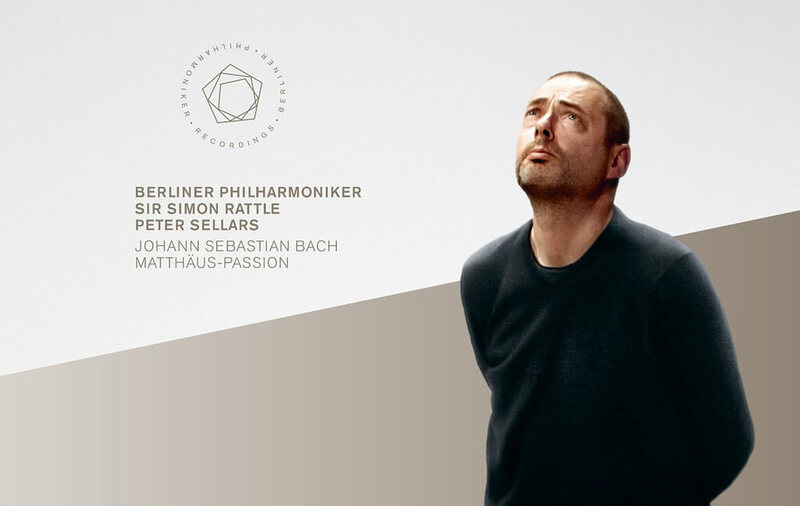 Among Sir Simon Rattle’s most innovative projects with the Berlin Philharmonic has been a series of live performances of Bach’s St. Matthew Passion. The piece itself was not new to the orchestra’s repertoire — Furtwängler, Karajan, and Abbado had all done it — but the way in which Rattle approached it (i.e., hiring stage director Peter Sellars to work out a staging of the piece that would make it more meaningful for modern audiences) was entirely new. 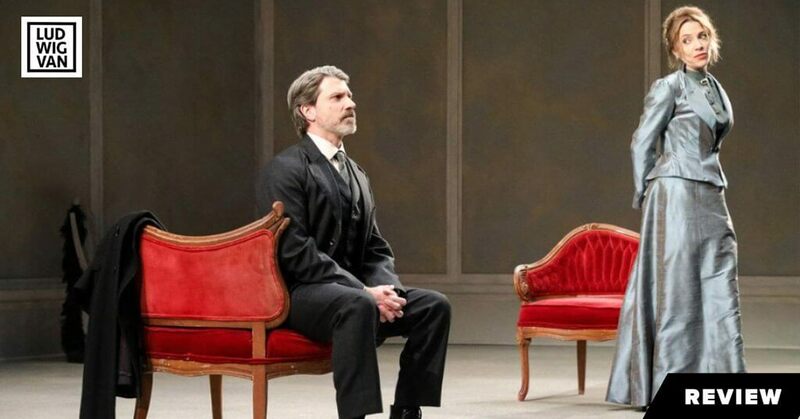 The work has nearly always been performed as an oratorio even though its’ telling of the passion story is highly dramatic; the piece cried out for some sort of theatrical realization, and Sellars has turned out to be the man to do it. 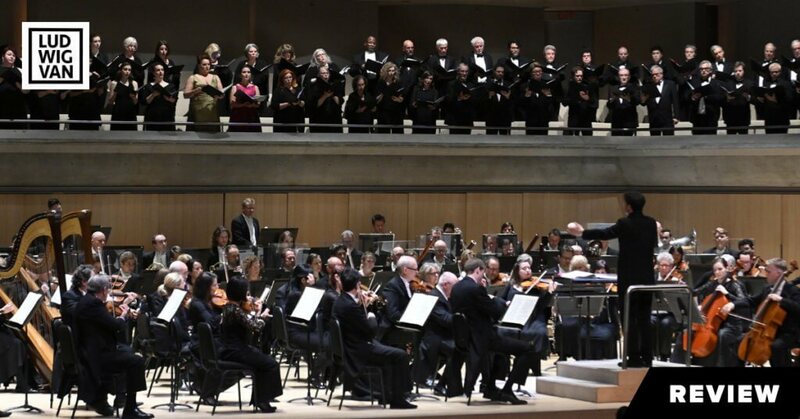 Sellars was given weeks of rehearsal to work out the staging for St. Matthew Passion. The vocal and instrumental soloists, as well as the members of the chorus all memorized their parts and under Sellar’s inspiring direction concentrated on bringing the characters of the drama to life through text, music and movement, all of which was accomplished in a highly stylized and understated way that retained the integrity of Bach’s musical structure. The most radical departure from tradition concerned the role of the Evangelist, who, in most performances is the storyteller/pastor, the man who lays out the terrible details of the passion of Christ for the congregation but is not himself a participant. In Sellar’s version, the Evangelist often embodies the very events he is describing: when Christ is flogged, the Evangelist writhes in pain; when Judas gives Christ the fateful kiss it is the Evangelist who receives it; and after Christ has been taken down from the Cross, the Evangelist lies prone on a slab, like a corpse. In this production, the Evangelist becomes the central figure, both as storyteller and as Christ himself. In this role, tenor Mark Padmore was simply magnificent. In fact, the entire cast was on the same high level, singing beautifully and playing their roles with total commitment. One cannot praise too highly the contribution made by the members of the Rundfunkchor Berlin, and it almost goes without saying that the Berlin Philharmonic played superbly. Sir Simon Rattle presided over the musical forces within the parameters of Sellar’s vision; that is to say, while he was onstage throughout the drama, he managed to be both forceful and unobtrusive. On the musical side, there were numerous deviations from the norm in matters of tempo and dynamics. Many listeners will find the treatment of the chorales controversial, as they are generally taken much faster than has been customary, and fermatas are often ignored. There are also a few miscalculations; for example, in the great contralto aria “Erbarme dich”, the violin solo — beautifully played by Daniel Stabrawa — is almost drowned out by the organ continuo. Rattle went to the trouble of including two theorbos as part of the continuo group in the orchestra. Why not use them, rather than the organ, to accompany this aria? They are capable of being played much more softly, and that is what is needed here. All in all, this was an inspired rendering of one of music’s great masterpieces, and it has been captured almost to perfection by video directors Daniel Finkernagel and Alexander Lück. This fine boxed set also includes an illuminating conversation between director Peter Sellars and chorus director Simon Halsey. SCARLATTI: Sonatas (16). Angela Hewitt, piano. Hyperion CDA67613. Total Time: 76.10. Angela Hewitt first made her mark playing the music of Bach in the 1985 Toronto International Bach Competition, going on to become one of the world’s most authoritative Bach players. She has now immersed herself in Scarlatti’s music with the same scholarly thoroughness and detailed preparation she devoted to Bach, and the results are equally insightful. 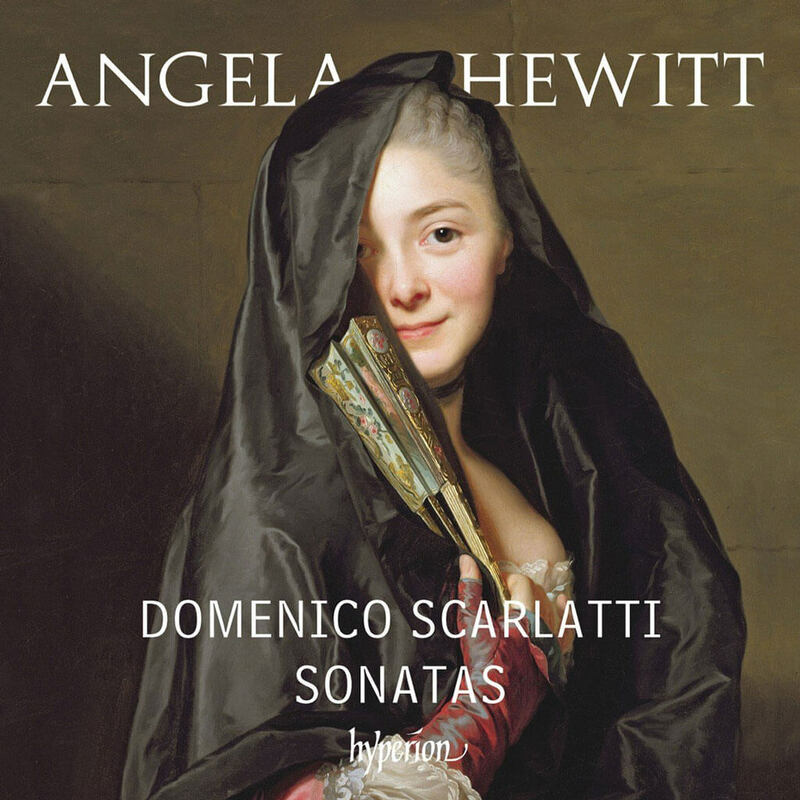 Angela Hewitt’s all-Scarlatti CD is a joy to hear from beginning to end, and I expect to return to it often. In her hands, each of these brief pieces has a character all its own. Her notes are also very helpful for any listener interested in learning more about each of these sonatas.